Rheal Pitre Sports is very proud to be the Canadian distributor of the Scandinavian fly fishing tackle Guideline. Rheal Pitre Sport has been in operation since 1979. We have been a Guideline retailer since 2010 at our store Rhéal Pitre Sports,New Richmond,Gaspesie,Quebec. Rheal Pitre Sports is a well equipped sports store catering to the outdoors enthusiast. Products range from hunting to sking.Cycling to canoeing.A full range of outdoor clothing. Because we love the outdoors. The more people,young or old we can introduce to outdoor activities the happier we are. We are located in New Richmond,Gaspesie,Quebec. There are many famous Salmon rivers right on our door step. The Grand Cascapedia and Bonaventure being the two most popular rivers plus many others a short drive from town. At the age of 18, Alain joined the familly business, Rheal Pitre Sports, and never quit. In 2003, he started a new division in the store for fishing and hunting gear. 6 years later, he became the owner of the business. His adventure with Guideline started in 2010 when he introduced the brand in his store. After 3 years of parternship, he is now the exclusive North American distributor of Guideline. He discovered fly fishing only at the age of 35, but it quickly became his favorite hobby. Living in the middle of so many great rivers as the Bonaventure, Grande Cascapedia and Restigouche, when the season is open, if he’s not at the store you know Alain is gone fishing! Sports of all kinds always took an important place in Étienne’s life and his love for sports pushed him to join Rhéal Pitre Sports’s family when they moved to their new location in March 2009. 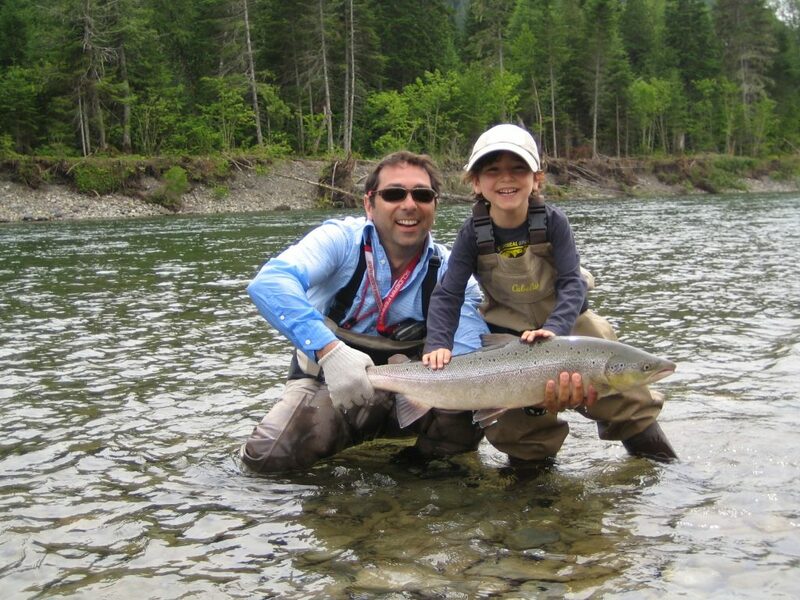 Since then Étienne has worked as a sales representative in the sports, hunting and fishing departments. Étienne is also very interested in business management. He graduated in December 2013 at the CEGEP Gaspésie-les-îles where he completed a course in accounting and management. He left his hometown, New Richmond, in January 2014 to start his BBA at Bishop’s University. After a trimester, he decided to come back to join the Guideline Canada’s adventure. Now as a part-time university student and full time sales director for Guideline Canada. Étienne is very proud to help Guideline to become a leader in the North American fly fishing industry. Fly fishing has always been an integral part of Neil’s life. At 18 years old, his passion for two handed rods was already awakening. He spent many hours honing his casting skills in the United Kingdom on such Rivers as the Lune and the Ribble, not far from his home in Leyland, Lancashire, England. 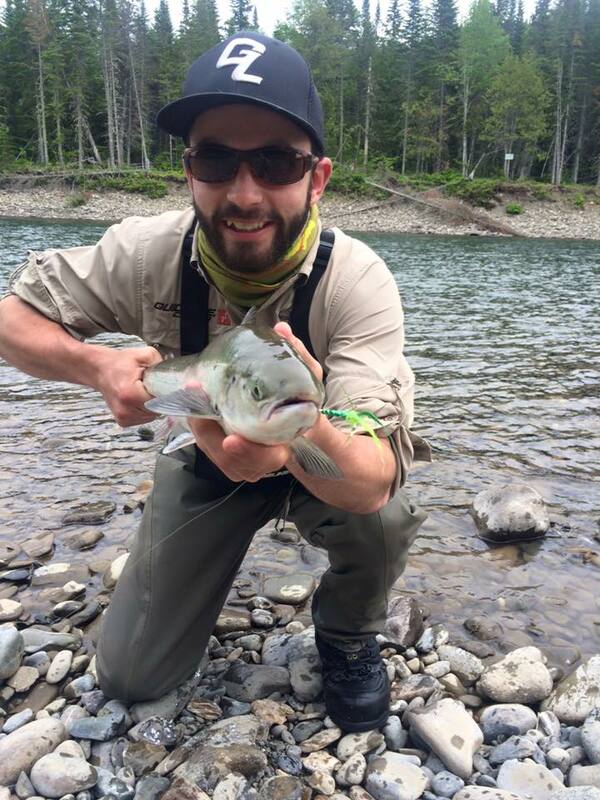 His move to Canada did not prevent him from pursuing his passion for fly fishing. His travels have taken him to such varied destinations as the Gaula River in Norway and the Spey and Dee in Scotland and a few of the famous rivers of Gaspe and Newfoundland. Now Neil is very involved with Guideline from Sweden and works closely with the new distributor in New Richmond,QC. He continues to attend events across the country to demonstrate his casting skills and share his knowledge with the younger generation of fly fishers and all other anglers. Neils has now re-located to Quebec in the Charlevois region enjoying the magnificent mountains and rivers in the region. 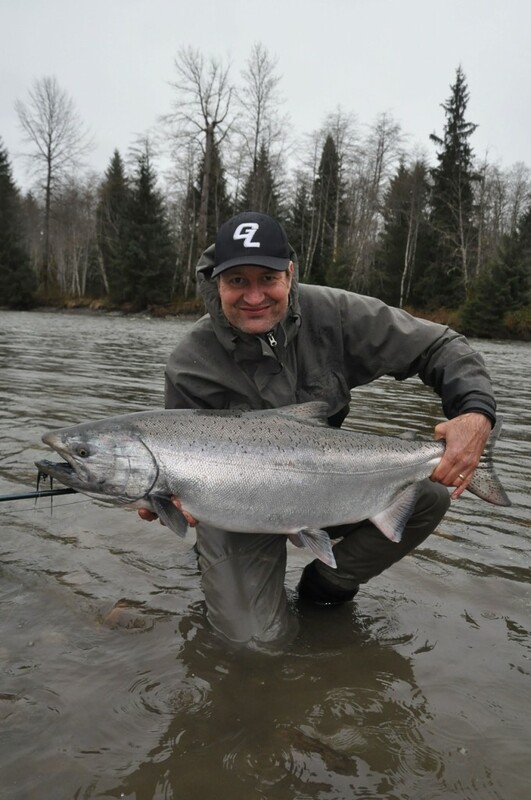 Jean-François Lavallée (JF), is owner and chief instructor at the Modulus fly fishing school in the greater Montreal region in the province of Quebec. For the past ten years, JF has dedicated most of his free time to his passion, the learning and teaching of everything surrounding the art of fly fishing. 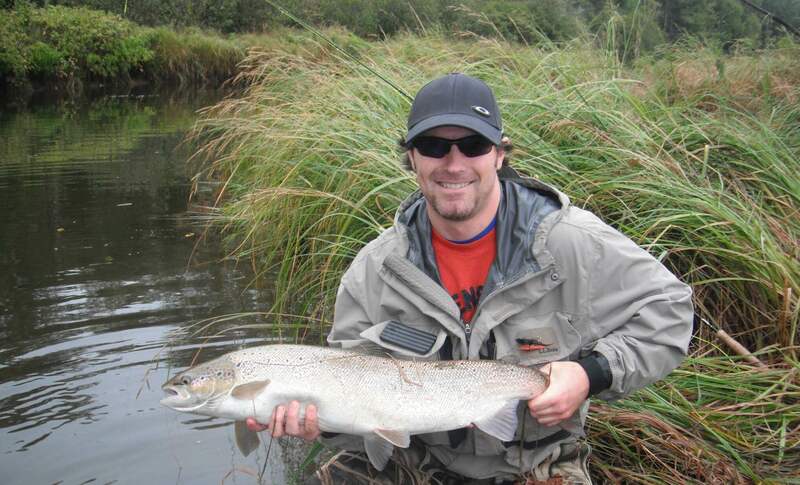 In addition teaching at the school, he also frequently volunteers time to the local fly fishing clubs. Sole instructor in Quebec certified from both the renowned Joan Wulff school and from the International Federation of Fly Fishers (IFFF), JF also is the only Master Certified Instructor (MCI) in the province. Double gold medalist at the 2014 Canadian National Fly Fishing Championship (NFFC) in Montebello Qc, JF has been active on the competition scene since 2008 as both competitor and organizer. This contact with the competitive world enables him to exchange and learn with the best anglers in Canada, the US and from Europe. In parallel, his “corporate coach certification” from the World Association of Business Coaches, allows him to apply professional coaching techniques to his fly fishing instruction methods, in order to maximise their results. 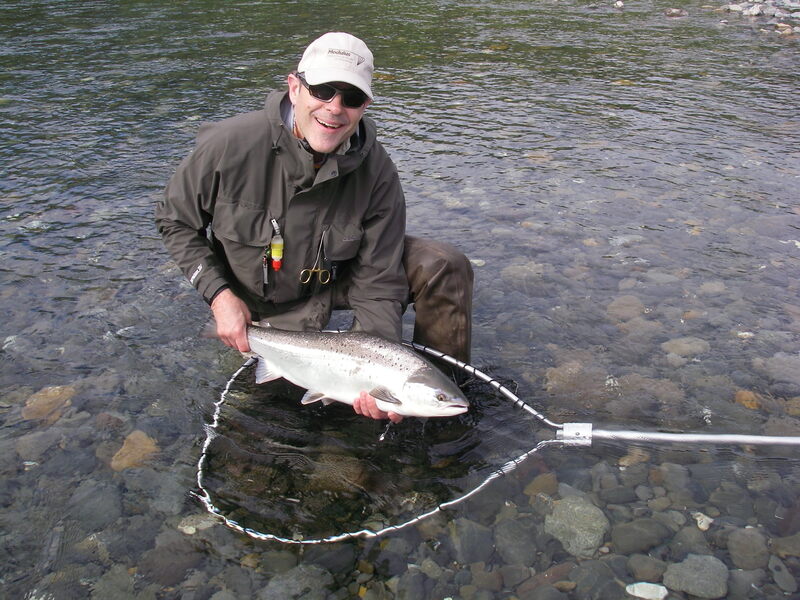 From Quebec to New-Zealand, from trout to salmon, from dry fly fishing to Czech nymphing, where ever he is, JF will enable you through his presentations and his instruction to learn always more about the art of fly fishing, and this, always in a fun and light hearted way! Jaap was born in Holland where he started fishing since as long as he can remember. When he was 12 he started fly fishing for trout on the saltwater lakes in Holland and in Belgium, France, Germany and Austria. He also traveled to Scandinavia where he fished for Atlantic salmon, mostly on the Gaula. Since then he has travelled the world for exotic fly fishing destinations and experiences, and has settled in Smithers at the heart of the Skeena drainage. He guided for steelhead on the Bulkley River for the past 18 years. When he is not guiding, he and his wife can be found camping and fishing for steelhead and spring salmon on the rivers of northern BC. He started to fish with double-handed rods when he was young, back in Scandinavia, and enjoys teaching others. When is not fishing he loves tying flies, enjoying the creation of patterns that are beautiful, practical and that reliably catch fish. He recently started Skeena River Fly Supply; a company that focuses on quality fly tying materials and is an outlet for his creativity and interest in innovative designs. At the very young age of 4 years old Mark was taken fishing by his Grandfather. 31 years later there has not been a season that passed without water on his waders. Mark grew up in the small village of Country Harbour, Nova Scotia with the river flowing through his back yard. Mark’s love for an outdoor lifestyle is entrenched in who he is today. Mark fishes all four seasons whether it be wading the cold waters in the spring to floating his boat in the summer, swinging salmon flies in the fall or drilling through the ice in the cold windy days of the winter. Fishing to Mark is more then about catching fish. It is about experiencing the outdoor life, appreciating the access to open water and being passionate about something. Mark’s camera is used just as much as the fishing rod! Mark likes to capture pictures of the fish he hooks and releases as well as the amazing water ways and picturesque views of Nova Scotia. 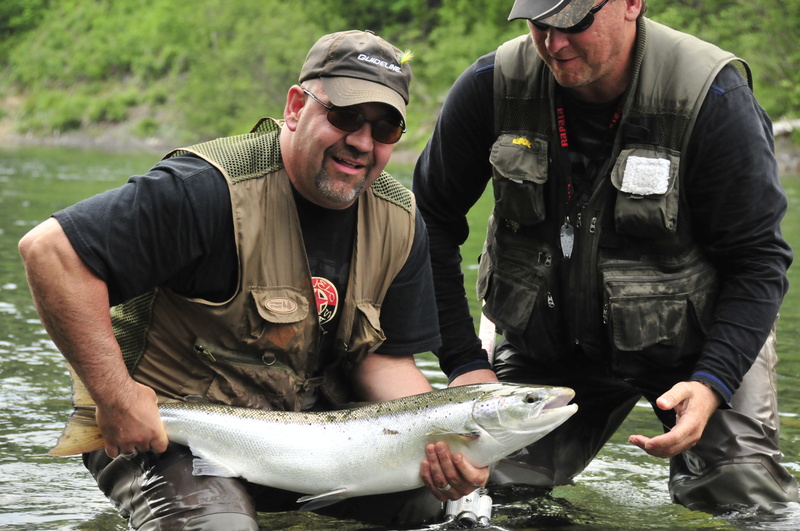 Trout management and protecting the wild Atlantic Salmon are Mark’s priorities while sport fishing. 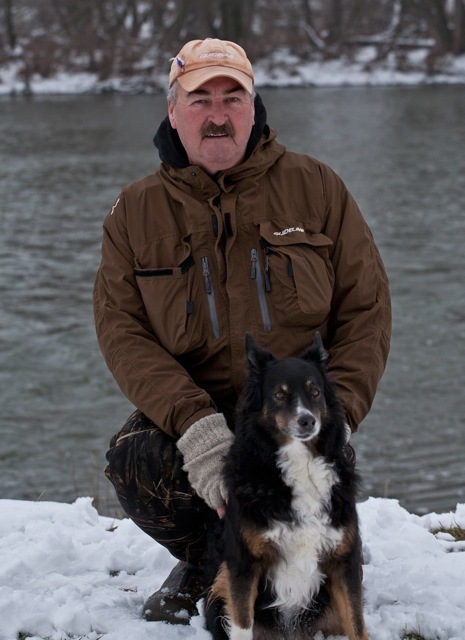 Mark has fished all over Nova Scotia with his faithful fishing dog Luda and has tried his luck for Steelhead and Chinooks on the Credit River in Mississauga Ontario. Mark presently sits on the Board of Directors for the Antigonish River Association. Mark looks forward to helping Guideline become a leader in the North American fly fishing industry and showcasing a great product line up on his fishing adventures this season. Fishing has always been a great passion for Roberto. At a very young age of 4, Roberto followed his father fishing every weekend in the Montreal region for perch, pike and bass. At the age of eight he felt passionate of the delicate and fulfilling feeling of fly fishing. He bought his first fly rod in a large sports store on St-Laurent in Montreal for a mere $ 0.99 cents, he still has the rod. A couple of years later a Salmon fisherman from the Moisie river brought him on the Matane river for his first Atlantic Salmon experience. At the age of 20, Roberto took his first salmon fishing alone on the Dartmouth River in Gaspé. Since then, he has fished many rivers of Quebec. From the Haute St-Jean and the Moisie on the North Shore to all rivers of Gaspesie. It soon became his favourite playgrounds and travelled it for more then 25 years. The art of presenting a dry fly on one of those crystalline rivers has become his trade mark. Roberto has initiated many anglers to the sport and has been involved for many years in the mentoring program of the Fédération Québécoise pour le Saumon Atlantique. Not only is he a lover of the art of fly fishing single and double handed rods but will be passionate and extremely generous to share is knowledge. Now settled in the Quebec City area, he will be honored if you contact him to share fishing experience and try the wonderful Guideline products. On your next trip in the beautiful Gaspesie, if you hear a smiling fellow screaming « Andiamo Bambini !!! while hooked on a fish, take the time to go and share the moment with him.